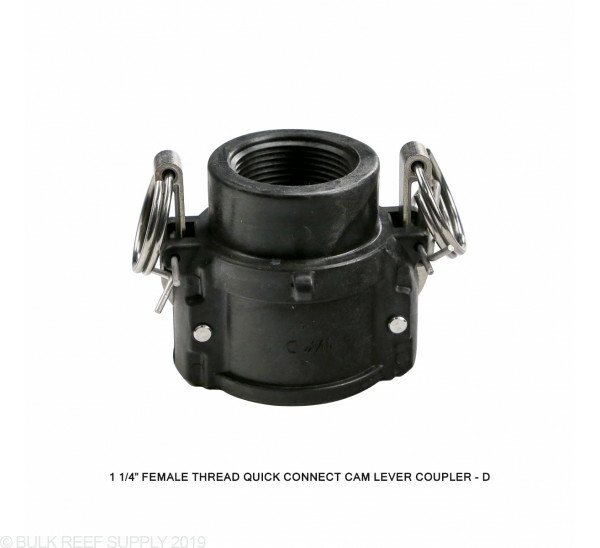 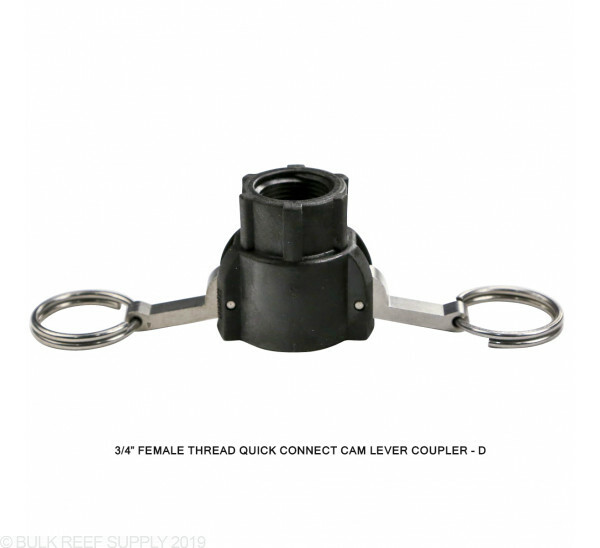 Female Thread Cam Lever Quick Connect Couplings will mate up with a Cam Lever Quick Connect Adapters* to create an easy to remove banjo style fitting. 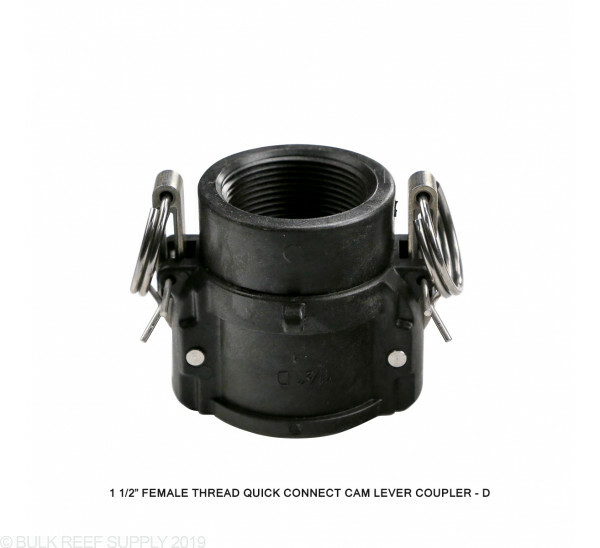 The unique shape and cam locking design creates a positive locking, leak free design allowing you to quickly remove and reattach pumps, plumbing, reactors and more. 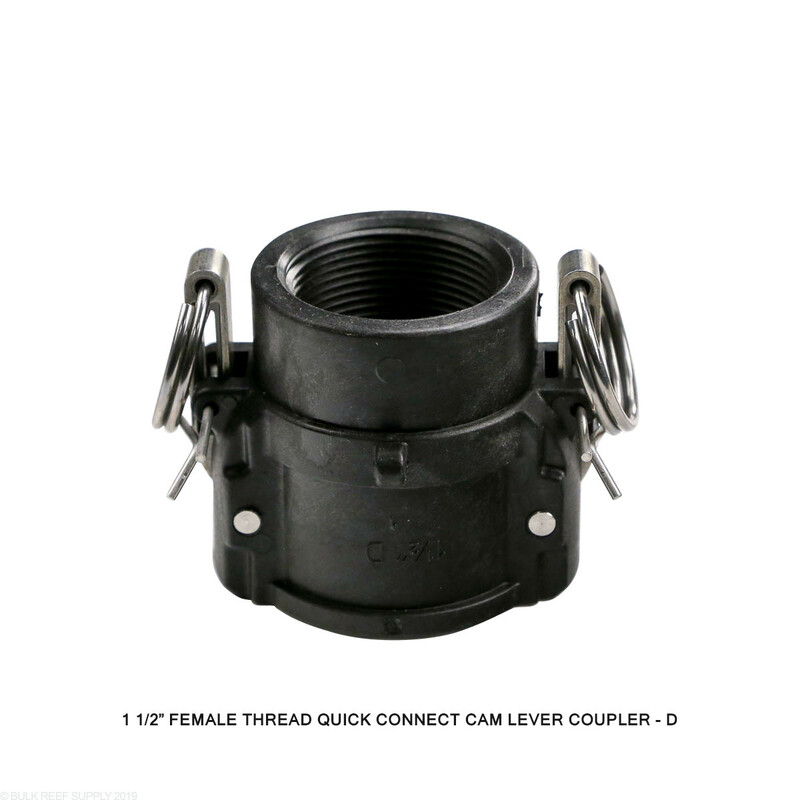 *Note: You need 1 adapter and 1 coupling to create a complete banjo fitting. 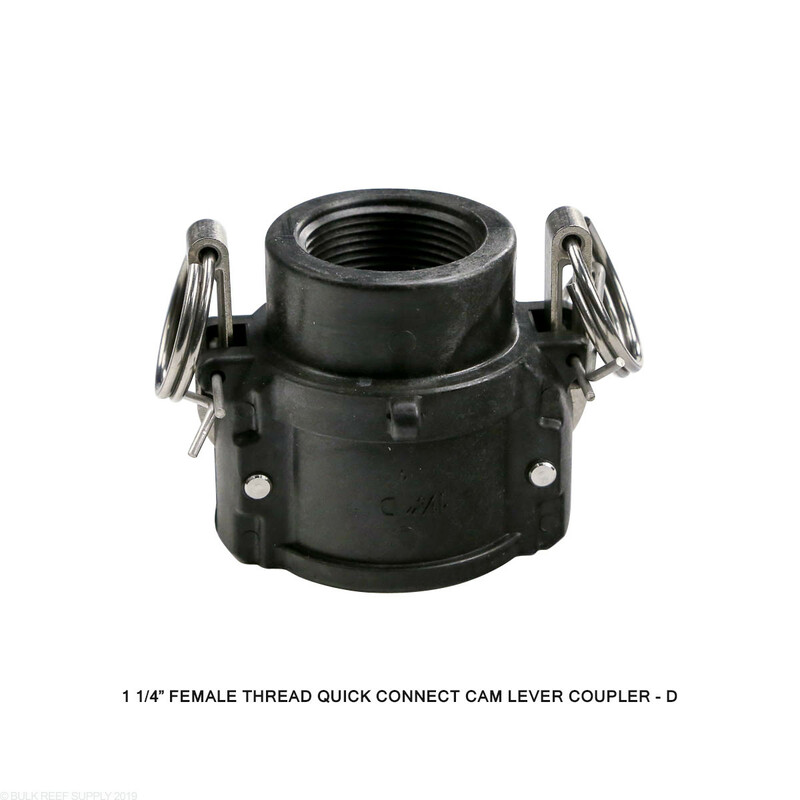 Please see compatibility chart in Full Details below. 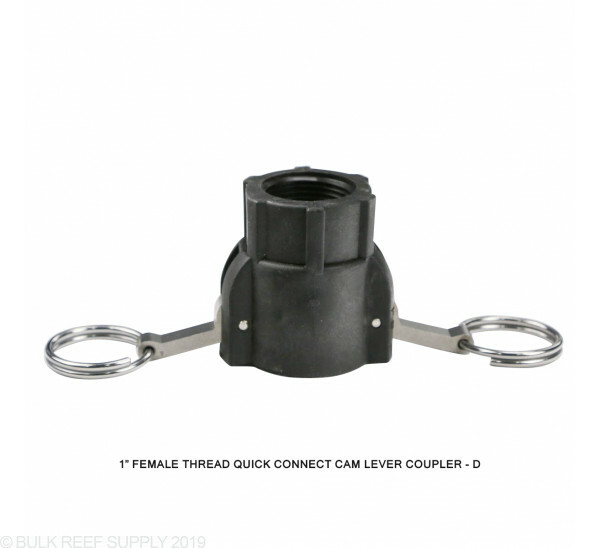 Cam Lever Quick connect couplers and adapters (banjo fittings) allow you to make a leak free connection that can be used for many different applications. We have found them to be particular handy is for water change systems, temporary hoses, reactors, or any other location that you may need to remove quickly and often. 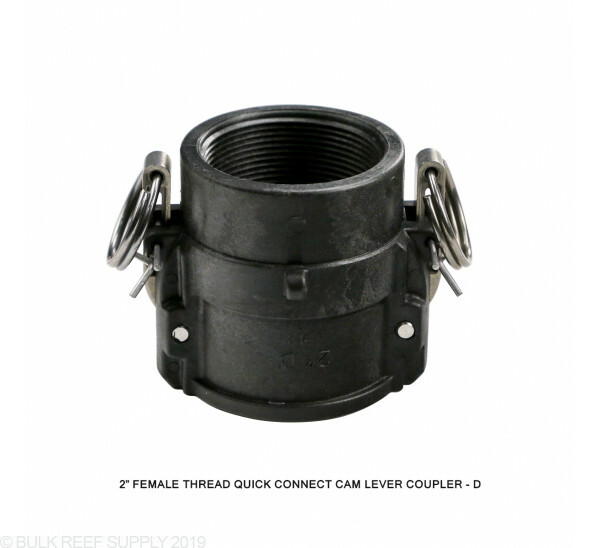 Couplers - The female side of the quick connect banjo fitting. 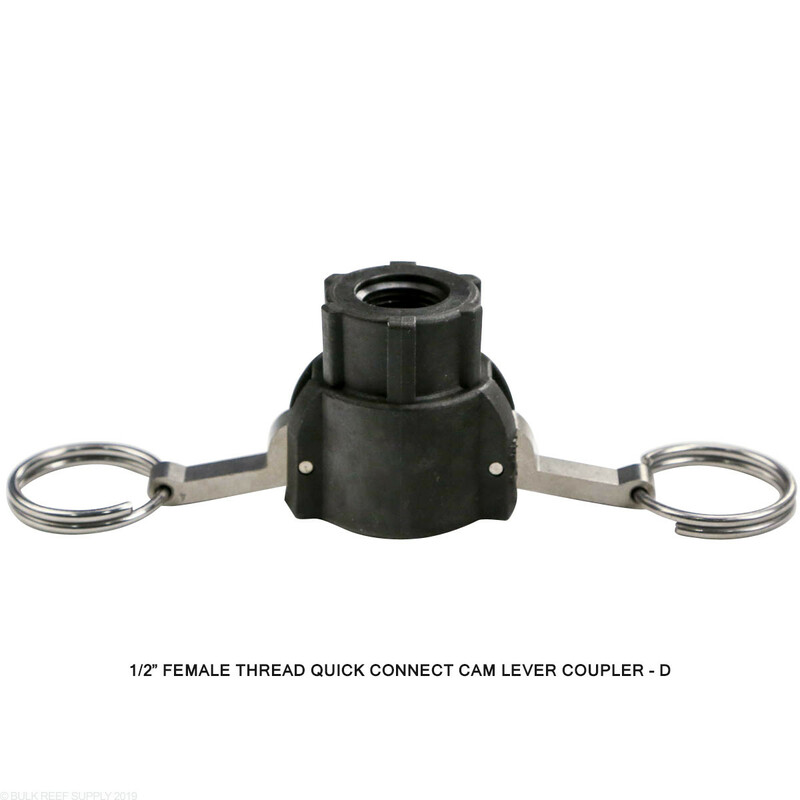 (available with male or female threads). 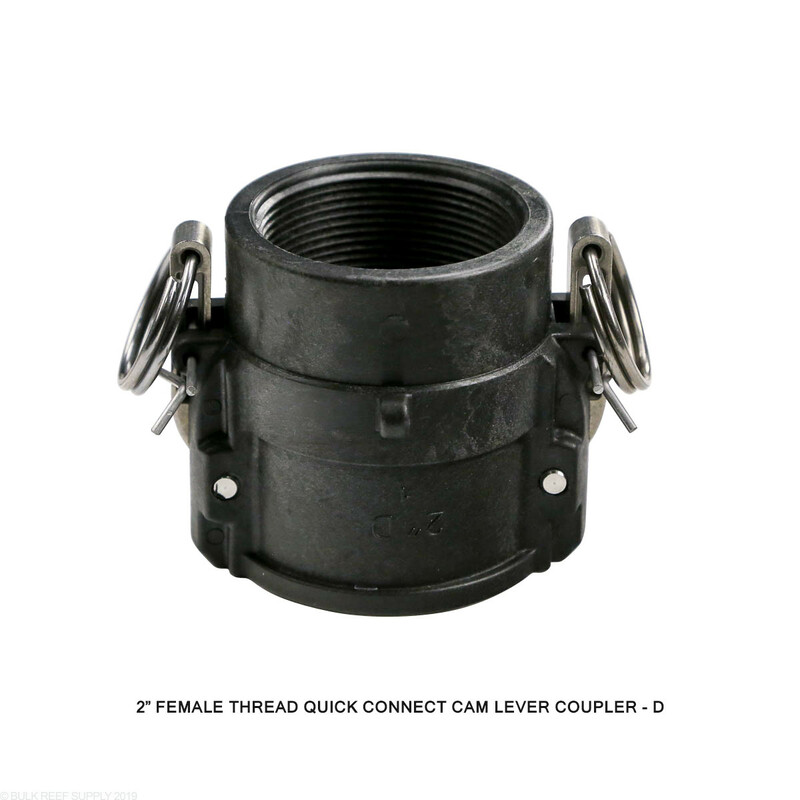 You can use any adapter with a coupling of the same size. 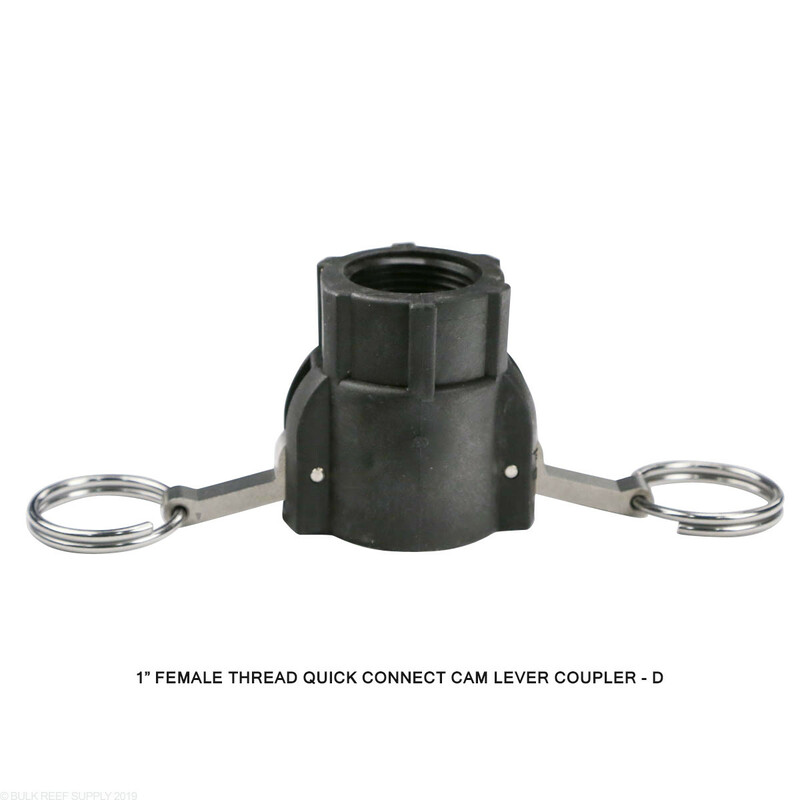 Please keep in mind you need an adapter and a coupler to create a complete banjo fitting. Example: if you use a 1" Female Thread Cam Lever Adapter, you would need to use either a male or female 1" Cam Lever Coupling to complete the fitting.